Wednesday marked Metro Rail’s 20th anniversary, an impressive milestone when you look at the system today and consider that L.A. has long be known as the car capital of the world. But what does the next 20 years hold for rail transit in L.A.? Yesterday, Steve posted a look at the projects that are funded by Measure R that could very well be built as rail lines – and if the 30/10 Initiative takes hold, we could see the rail system expand in massive way in the next decade. In other words, there’s a lot to be excited about if you love transit. This brings me to today’s poll, which of these potential rail projects are you most excited for? 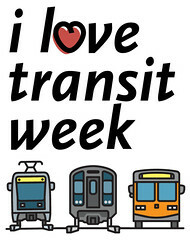 Don’t forget to tell us why: email us at sourcemetro@gmail.com, leave a comment on Facebook or shoot a tweet to @MetroLosAngeles (don’t forget to include #ilovetransit).